Atari: Game Over documents the rise and fall of game giants Atari and investigates one of the biggest myths in video games history; the burial of the ‘worst game ever made’. The documentary follows Zac Penn and his crew as they bring this historic myth to reality as they dig up Atari’s dirty secret and the thousands of E.T cartridges buried in a Mexican desert landfill in the 1980s. Atari: Game Over explores the soaring popularity of the Atari 2600 and, through its own ambition, how the company completely collapsed in what’s known as the video game crash of ’83. Through various interviews the documentary uncovers how this mass burial came about and the speculations behind the crash of ’83. It also lets the creator of the infamous E.T game, Howard Scott Warshaw, explain his side of this story. 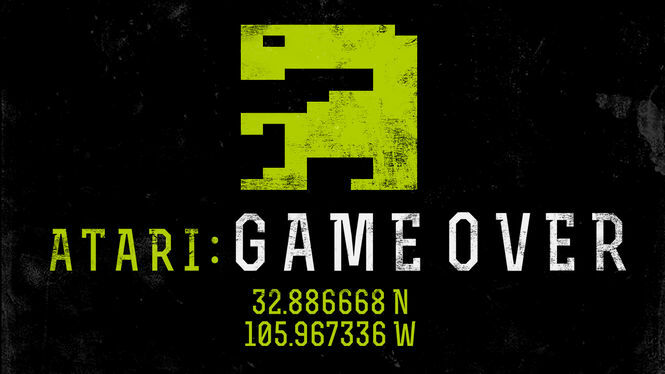 Atari: Game Over explores the jump from arcade machines to home gaming and manages to capture a small piece of video game history and cult myth. Perhaps one of the most important documentaries on this list, GTFO is driven by one question: If half of gamers are women, why don’t we see more women in the industry? This film explores several, possible, answers to this including (but not limited to) marketing, boy’s club mindset, and online harassment. These answers are explored through interviews with several women in the industry, from competitive gamers to journalists to writers and developers. While women are the focal point, men in the industry are also interviewed regarding these issues. 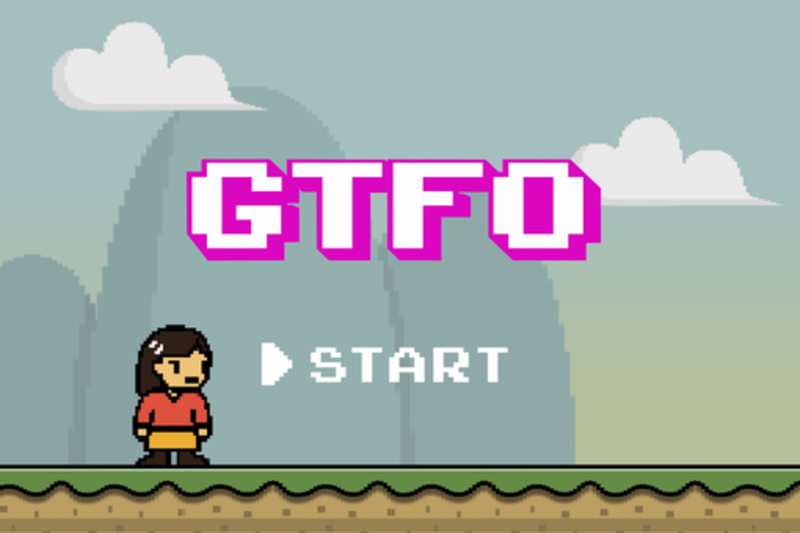 GTFO offers an array of perspectives on sexism in the video game community/industry. But it’s not all negative. GTFO does a good job at highlighting companies, organizations, and individuals who are actively working against sexism: such as conventions like Geek Girl Con and game studios like Giant Space Kat. This is something I always look for in documentaries dealing with serious social issues: What’s the solution? What can I do? So I was glad to see that included. Whether or not you believe sexism is a real issue in gaming, this documentary is something you need to watch. GTFO is thought provoking, powerful, and important. King of Kong: A Fistfull of Quarters is pretty dated. That’s something the film can’t avoid. Kong, which focuses on the rivalry between engineer Steve Wiebe and hot sauce magnate Billy Mitchell as they compete for the Donkey Kong world record, was released way back in 2007. This was a time before livestreaming and speedrunning were as popularized as they are today and the world record for Donkey Kong has been broken time and time again since the film’s release. When people can beat Super Mario Bros. 3 in less than five minutes (or even a few seconds), the novelty of people competing for a gaming world record starts to lose its luster. With that being said, the film’s story is captivating enough to make you forget about all of that. The trials and tribulations that Wiebe goes through in attempting to break the record, Mitchell’s seemingly sinister machinations to undercut Wiebe at every turn, and the emotional stakes at play for all involved make for a strong and engaging story. 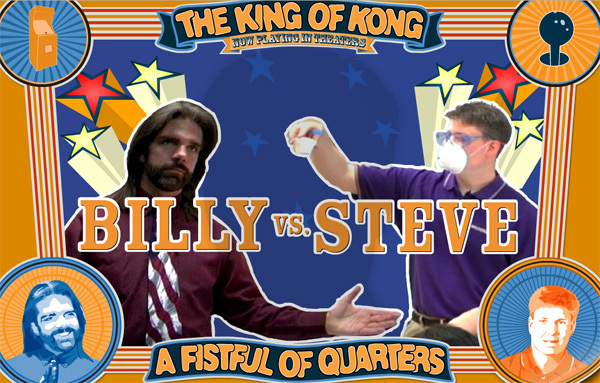 King of Kong may be dated, but that makes it a time capsule, a slice of history that will keep Wiebe and Mitchell’s story alive for years to come. 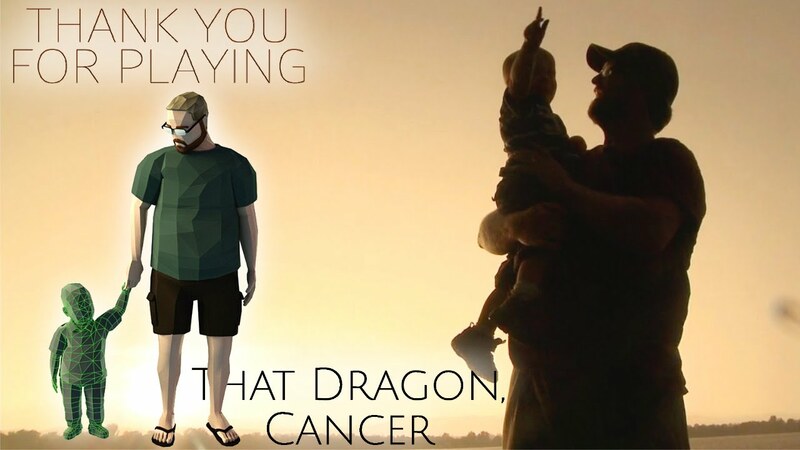 Thank You for Playing follows the creative process and development behind the video game That Dragon, Cancer. The documentary is about the video game’s developer, Ryan Green, and his wife, Amy, as they develop a video game based on their experiences with their terminally ill son. As well as discussing the game they also talk openly about their experiences with Joel, his cancer and, as upsetting situation as they are in, both parents don’t hold back from sharing their strengths and weaknesses about raising a dying child. 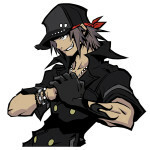 Creating the game allows Ryan to partially escape reality and the development of the game becomes a cathartic process for him and for Amy. The documentary shows that life reflections, personal philosophies and emotional experiences can make for deeply engaging piece of art. Thank You for Playing shows how the boundaries of empathy within technology is being pushed little-by-little, it’s a deeply moving film about the coming together of human experience and its place within interactive art.